The most valuable asset in your organization is your staff. Beyond providing products or services to your customers, employees represent the personality and culture of your brand. They are your link to customers, productivity and profitability. Hiring and retaining great employees directly impacts the long-term success of your business. Employees deserve to understand their role and want to be confident they are making a difference in helping you achieve your company's mission. Do your employees have a clear understanding of your expectations? Do they receive regular feedback to know if they are accomplishing their daily and long-term goals? Implementing a structured human resources plan facilitates better communication and generates a happier, more effective, and more sustainable workforce. What makes Fran Baze, of Your Favorite HR Advisor, unique? She is personable, professional, highly knowledgeable, and has the ability to relate to and bridge the gap that may exist between all levels of your team - from entry level staff to executive management. 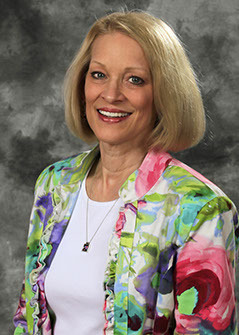 Her experience includes: Director of Human Resources, Heartland Community Church; Human Resources Administrator, Conseco Insurance Company (formerly Pioneer Life); and Staffing Specialist, Gaffney Employment Services. When is it right to have a full-time human resources professional on your staff? The general standard is one HR professional to every 100 employees. However, federal and state employment laws affect employers of every size, even an employer of one. Oftentimes, owners or managers of small businesses simply don't have the time or acumen to learn and address HR compliance matters. As state and federal employment laws are updated, an HR professional helps employers understand how to operate legally while aligning company policies with employer and employee rights. Employment Law compliance is not only mandatory, it results in a structured workplace with clearly established parameters for employers and their employees. An employer of any size can benefit from professional HR guidance. Large businesses can utilize Your Favorite HR Advisor, LLC as an interim solution when increased HR capacity is required. Small businesses can move forward confidently, without the need for a full-time HR staff member - using Your Favorite HR Advisor, LLC as needed. Your Favorite HR Advisor, LLC partners with you and your staff, taking the time to learn your unique needs and objectives, and acting as a direct extension of your business. Gain from 25+ years of human resources and business experience in both the for-profit and not-for-profit arenas to help you meet your organization's mission. to explore how professional HR guidance can take your organization to the next level.